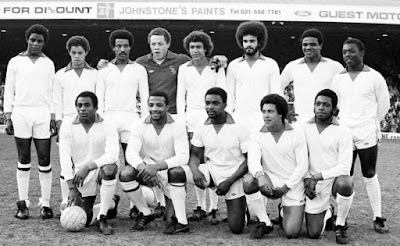 Last night, as part of a season on Black British history, BBC2 had a programme about a 1979 testimonial match between black and white football teams at West Bromwich Albion's Hawthorns ground, presented by lifelong fan of the club Adrian Chiles. 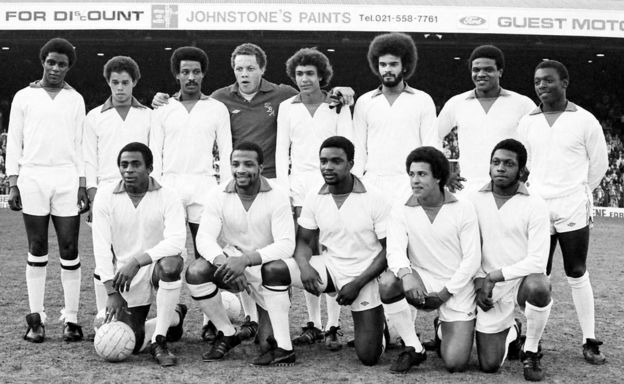 The general tone of the programme was "look how far we've come", and rightly so given the archive footage of National Front paper sellers outside turnstiles, Stanley knives wielded as weapons and bananas thrown onto the pitch, but former player and now QPR director of football Les Ferdinand did pop up at the end to give a necessary reminder of the racist abuse black footballers still face online and the problems they have moving into management and coaching at the end of their playing careers. I cannot imagine such a game taking place today, but I don't regard it as racist: it's important to judge events in the context of the times, and this looks like a genuine attempt to address racism in football.